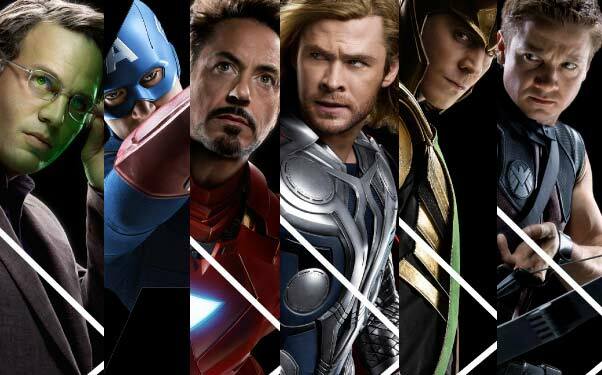 One Per Case: What is the Correct Order for Watching the Marvel Movies? What is the Correct Order for Watching the Marvel Movies? View by timeline, or release date? We humbly offer our take after the jump. As we gear up for May 4th, one would be remiss if we did not take an afternoon (or several) to remind ourselves how we arrived at this auspicious moment. Afterall, we're about to see the greatest collection of superheroes on the big screen in...EVER and we don't want to miss Whedon's penchant for throwing in unique side stories into the mix. It would be like being caught with our Superman underwear around our knees. So, how can we prepare for The Avengers without using mathematical equations to do so? Before we take on this mighty task, let's assume that we'll be adding Hulk to the lineup, as it does have some connection to The Incredible Hulk and wasn't totally awful. View the films as they were released in theatres. Best choice for: lazy people and those who cheat on tests. Reasoning: Sure, there are elements in the later films which connect themselves to other releases (Hulk's clash with General Ross' men at Culver University in IM2), but for the most part, those flashes don't interfere with the overall experience. The end of Captain America suggests that SHIELD is close to assembling its heroes, which takes us directly into Avengers, so it makes the most sense to view them in the order released. Besides, if you're lazy then you're probably used to doing less physical and mental activity, so why change now? View the films according to the timeline established by Marvel. Best choice for: people who enjoy intricate puzzles, studying stellar matter, have an IQ above 100, or who have tried Vulcan Neck Pinches on Everyone from their first dog to Grandmother. Reasoning: No offense to my dudes who write here, but each of us enjoys a fair case of OCD. It gives us the mental edge in providing you with the best toy and movie reviews anywhere, and you've probably already figured that out, which is why you visit us so often. Cap is hardest to figure out, as it contains the most references to the previous films but takes place during WWII. Throw it at the beginning and think little of it. BTW, did you know that in the months before Leonardo da Vinci died, he suffered a stroke and decided to work on intricate math puzzles just to keep his mind focused? You're the kind of person who enjoys such tasks, so take life by the horns and watch the films according to their timeline. In the end, no matter which path you take, be happy you're not considering the Def Con of preparations, in which you watch the films in their true order, by cutting up each movie and adding the Marvel One-Shot short films into the mix. Your Blu-ray player might take forever to load each movie, with some units burning out from overuse But as you watch yours melt before your eyes, use this as an opportunity to celebrate the experience which is forthcoming...and buy another player before Avengers gets released this Christmas. To see a remarkable breakdown of the movies by timeline, check out this site. Sorry... Hulk? ...I don't recall any such movie existing. No, no, no. Zak is right. 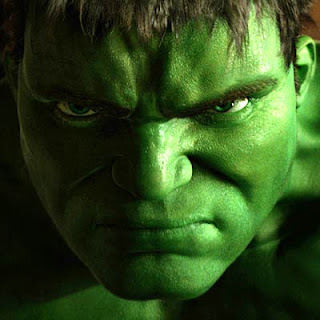 "Hulk" was not made by Marvel Studios and is not in the Avengers timeline. Ignore it, for your own good. "The Incredible Hulk" with Norton is a franchise reboot and the only one you need to watch. Actually, I accidently started watching Hulk instead of Incredible Hulk, and it does, in fact, start with the "Marvel Studios" comic book page. No; the Incredible Hulk is an INDIRECT sequel to Hulk like Ghost Rider Vengance is to Ghost rider, meaning Ignore it if you want to, but if you like it it fits. BTW, I personally think that the correct order is intertwined; Thor intro, the WW2 scenes in Cap, all the junk about Anton, Howard, and Banner's Father, Intro stuff from Incredible, the rest of Hulk, IM scenes before Tony's capture, Bruce In Brazil, The rest of IM, Im2 up until the warehouse scene, then The rest of Incredible, the rest of Iron Man 2, The Consaultant, A funny Thing.., the beggining scene in Cap, The rest of Thor, End scene in Cap, Avengers, and Finally Item 47. Just My opinion, and I am currently trying to burn it all on a dvd. captain america,ironman,incredible hulk[stark appears to ross about the avengers],ironman2 [stark is turned down for avengers] and agent phil metions problem in the desert[thor]...then thor ,the avengers,and then ironman 3.